Are you ready for an easy game day food? These BBQ Bacon Meatball Subs come together in a snap. It’ll make you want snacks all day long and that just makes the game days that much better. If you stick around here long enough, you’ll find that football season is all about the easy recipes. From our Mini Meatball Spaghetti Pies to our Macaroni & Cheese Hot Dog Cups we have you covered. We love things easy, quick and kid friendly. 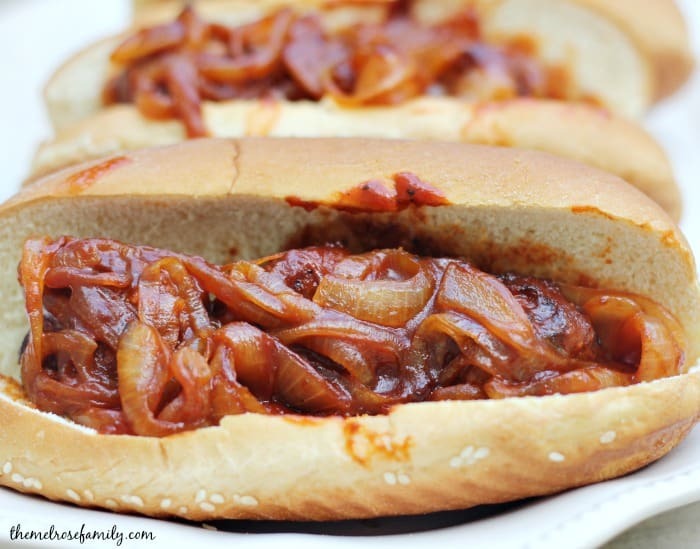 These BBQ Bacon Meatball Subs are all that and you don’t need a bag of chips to go with it. Be prepared with your napkins because you will need it for these BBQ Bacon Meatball Subs. Each bite is worth it. If you’re kids like messy then these are a definite win. I have one picky little eater that isn’t a fan of onions so these are easy to adapt for her. Just leave off the onions and you can add tomato sauce or barbecue sauce depending upon their tastebuds. The bacon meatballs are just so good. They’d be perfect for our Mini Meatball Spaghetti Pies as well. Looking for an easy and flavorful game day recipe or appetizers? 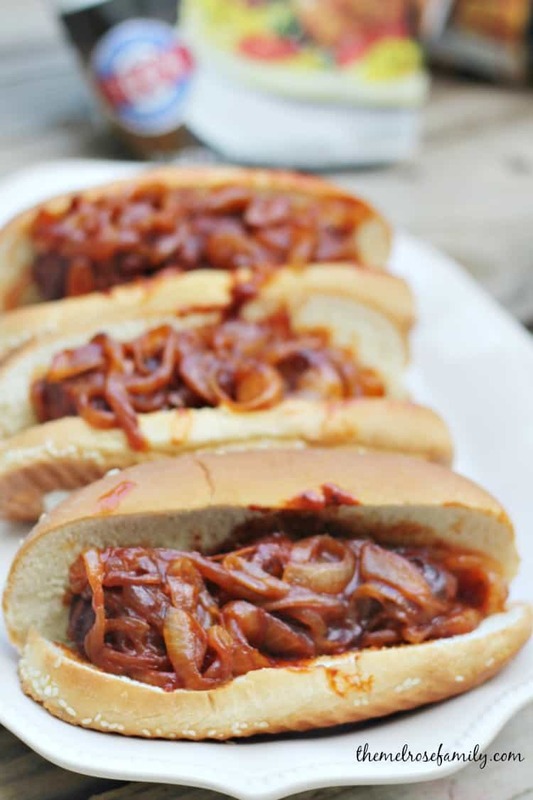 Try these BBQ Bacon Meatball Subs for a crowd pleasing recipe. Meanwhile in a pan cook down the onions until they are transparent. 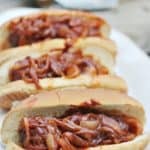 Add the barbecue sauce to the sauteed onions and cook on low for about five minutes so that the barbecue sauce combines well with the onions. Add three meatballs to each sub and then top with the barbecue onion mixture.